Modern trends, modern technology, and the Slavic mentality does not change. Craftsmen magicians always find solutions to most interesting problems. We have recently encroached on a movie in 3D resolution. There is nothing unusual in this. Long known that our kids with physics much better than in the West, so savvy students have found a way to use Western practices in their own way. To make the 3D glasses, You will need the cheapest sunglasses that you can find. Transparent plastic hardness close to that of Whatman paper. 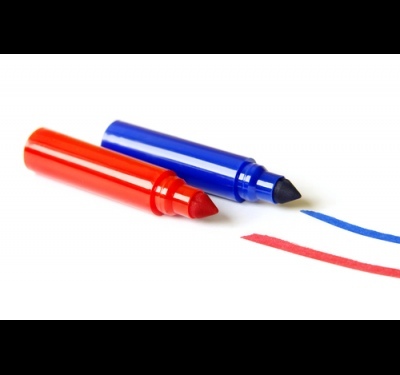 Two standard marker blue and red. The first step is a frame. 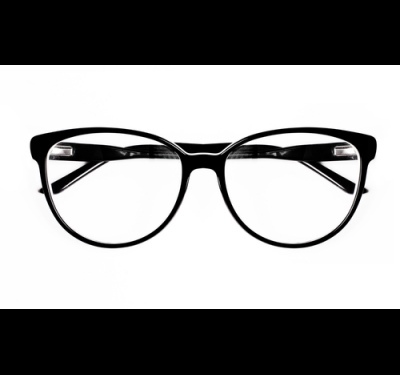 It is believed that the most convenient spectacle frames are ready — made spectacle frames. Therefore, it is easier to make 3D-glasses on the basis of the Turkish sunglasses. Of course, still an opportunity to make rim of paper. However, it will take a long time, and it is much inferior in its convenience. The choice is yours. You either cut out a frame from cardboard, or take sunglasses and squeeze out glass. The second point is the preparation of glasses. The whole point of the project, in glasses and their simplicity. Plastic you need to cut glass for future points. If You chose cardboard glasses, You will be enough to cut out two squares. 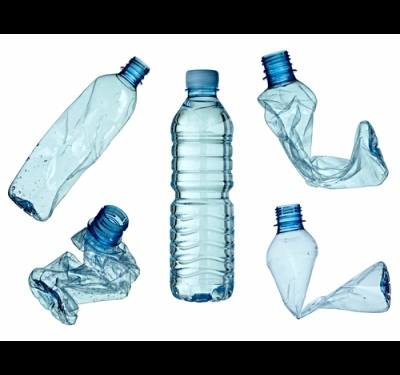 If You have a basis for existing glasses, plastic should be cut the same shape as their glass. You can circle the dark glass and cut desired shape. Step three is the improvement and installation of glass. One glass You evenly paint over the red marker, the other blue, and give them to dry. Then You need to install the red glass in place for the left eye and blue glass in place to the right. This pattern provides the ability to see the image in 3D. See how to make 3D glasses is a simple task and it is possible for everyone. 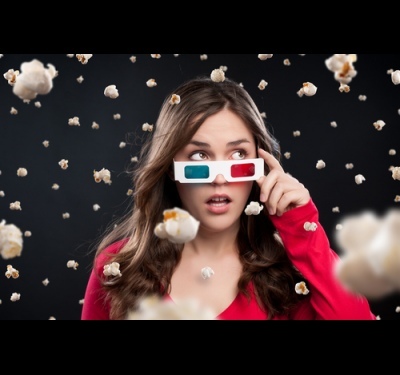 Now become a popular variety of 3D movies. But if you haven't experienced all the delights of three-dimensional images, the to see the 3D images in hand made glasses. Carefully with a small screwdriver to spin the clamping bolts and remove from the rim the old lenses. 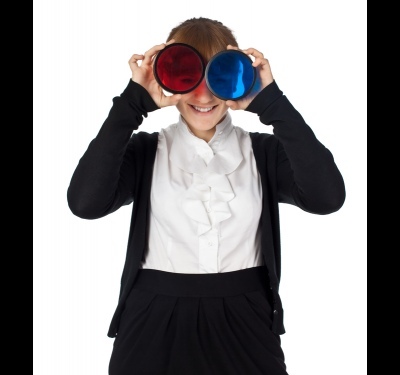 Draw on the transparency the outline of new lens for 3D glasses, you can use the lens pulled out as a template. Circled at the office to cut with scissors two plastic lenses. Right lens gently shaded in blue, left red, respectively. Insert the lens into the frame. If the lenses are not inserted, because it turned out a little more, just trim the excess. And the main thing - do not mix colors. 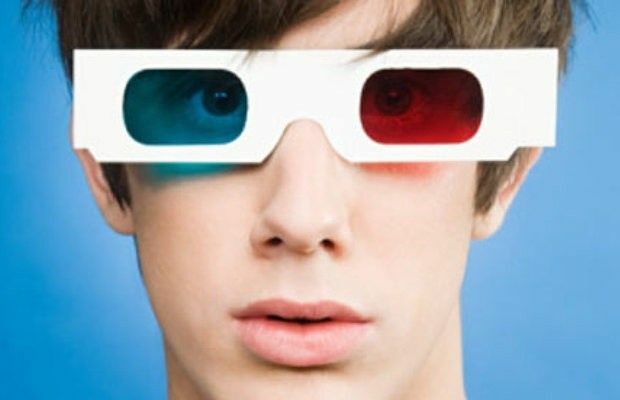 Put on your glasses and check their performance by watching any movie in 3D. 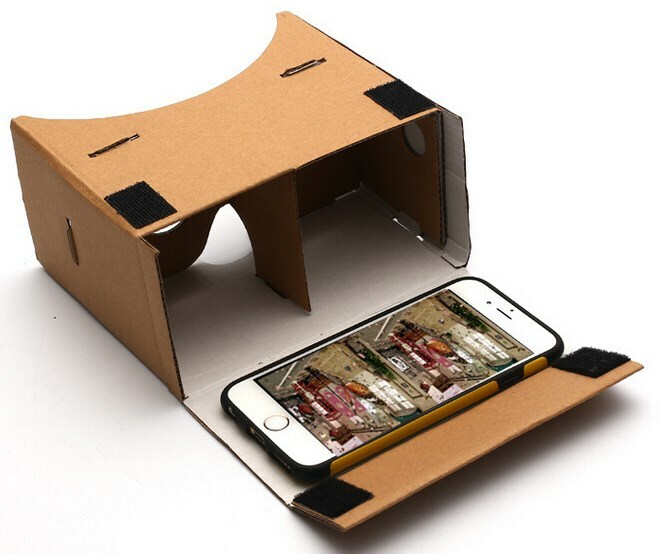 Now a very popular virtual reality technology, but it is quite expensive and not accessible to everyone. About Oculus probably heard everything. 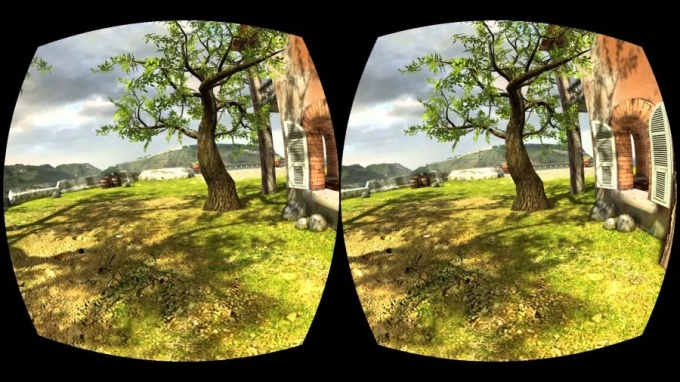 In this article you will learn how to make 3D glasses virtual reality virtually free and very simple just one hour. And experiences this home will be almost comparable to the expensive counterparts. 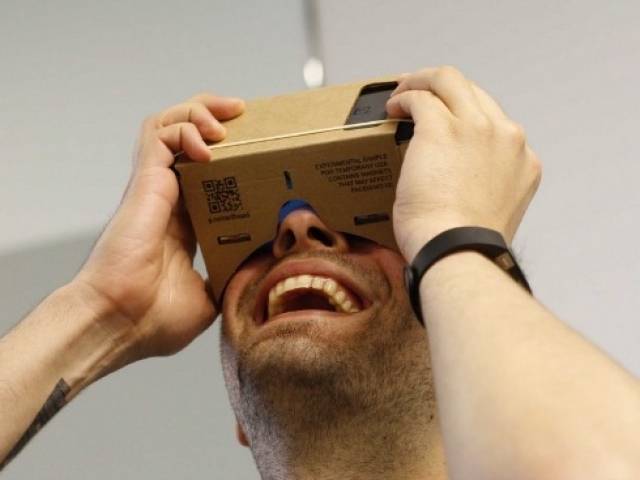 Go to the website https://www.google.com/get/cardboard/get-cardboard/ and download the template-a template for future virtual reality glasses (that says "Download instructions"). Download the archive with the files. Rotaryforum it in a separate folder. File "Scissor-cut template.pdf" will contain the required pattern. Need to print to the printer in 1:1 scale. It will fit on 3 sheets of A4. Now carefully glue the pattern to the cardboard. When the glue is dry, you need to cut out all the pieces along the solid lines. Bend the part along the lines marked in red in the instructions. The holes insert the PLANO-convex lens with a focal length of 4.5 cm Connect everything as drawn on the pattern. It should look like in the pictures. Now you need to download app for smartphone's that support 3D technology. If the smartphone operating system Android, applications you can download, e.g. 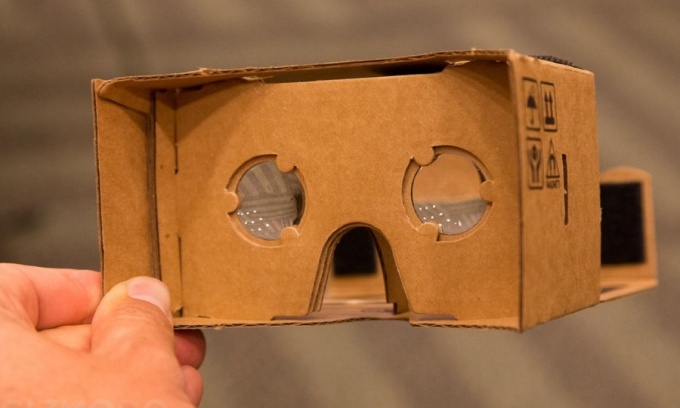 from Google Play, searching for the words "cardboard" or "vr". Usually the icons of these applications drawn stylized image of our 3D glasses. On top of glasses glue the Velcro to the garment so that the compartment for the smartphone can be locked when closed. Photograph clear, as in the end it should look like. Run any of the downloaded 3D application and insert the smartphone in a special designed place for it in the resulting glasses. Close it and fix with Velcro. Now, looking at our makeshift glasses, we are able to immerse themselves in a virtual three-dimensional world. The most important detail is properly fitted lenses. They should be exactly the same, and the focal length must match the distance from your eyes to the screen of a smartphone. The choice of lenses depends on your comfort and quality of experience of virtual reality glasses. 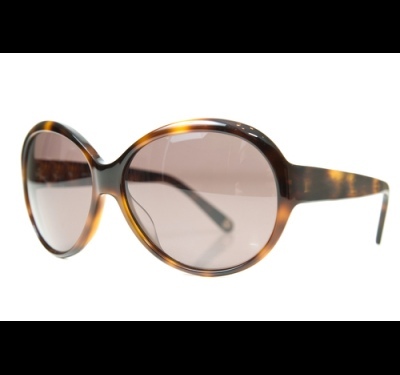 For convenience, you can provide sunglasses with straps so they are comfortable on the head. Usually make 2 straps: one wraps the back of his head and the other on top, so glasses did not slip and securely.